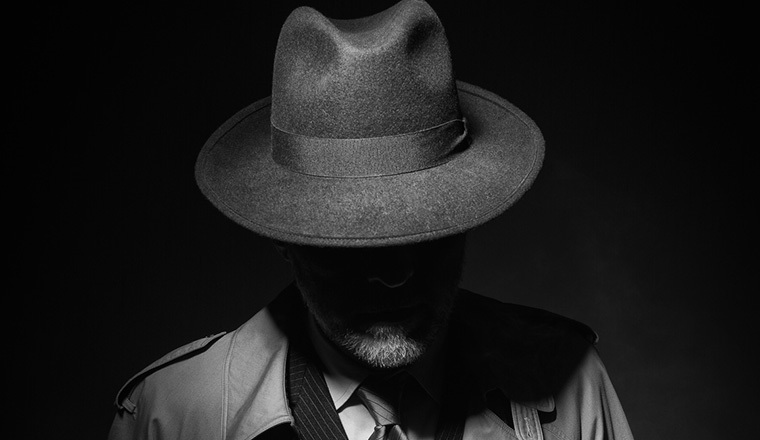 Just what are the dos and don’ts of setting up a mystery shopping programme in a call centre? Stephen Jacobs takes away some of the intrigue for Call Centre Helper readers. Mystery shopping, in its various guises, is not new. It started over 50 years ago as a way of checking on employees’ integrity and honesty and thus of keeping them in line. 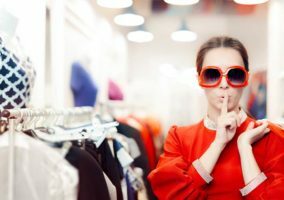 With the growing importance attached to customer service – which began in the late 1980s – mystery shopping has since evolved into a respected method of checking sales skills, customer service levels and product quality. It’s also a useful way of keeping an eye on the competition and of ensuring compliance with statutory regulations. In today’s highly commoditised marketplace – where the historical differentiators of pricing, product quality and delivery are entry level requirements – customer service is often the key to success or failure. Being able to evaluate customers’ direct experiences by seeing or hearing themselves from their customers’ point of view can help organisations develop more effective customer management strategies. 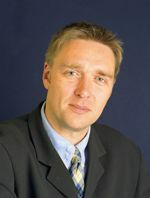 Mystery shopping can be undertaken via all direct channels of communication – face-to-face, web, e-mail, mail and telephone – and this research technique is increasingly being used by call centres, inbound sales teams and technical support so they can check that the actual customer experience is in line with the planned experience. However, one of the issues that gets highlighted through the implementation of a mystery shopping programme is that an organisation may not actually have defined just what the customer experience should be. If you’re trying to measure it, you need to know what it should be. In other words, don’t start your mystery shopping until you’ve outlined what you see as the customer experience. It’s by checking customer service levels that mystery shopping allows companies to pre-empt potential problem areas before these problems are recognised by customers. Businesses are also able to ‘road test’ new processes as they go live with customers, to test and measure third party performance against targets, service level agreements (SLAs) and key performance indicators (KPIs), and finally to utilise mystery shopping to appraise staff performance. After all, being able to evaluate its service from an objective viewpoint is essential if a business wishes to remain competitive, and mystery shopping enables companies to identify weaknesses, to set goals for improvement and to isolate training needs. 1. A review of the service via an audit to check standards are of the highest level, and corresponding checks to ensure these standards are up to customers’ expectations. 2. A questionnaire designed to be completed by the mystery shoppers so that the company’s service levels can be evaluated via ratings and comments. 3. Typical customer interaction scenarios designed to include complaints or requests. Remember, you should ensure that the most common call types are being evaluated as well – not just the problem calls. 4. Strong reporting. With this in mind, you should determine your reporting needs in advance. 5. Mystery shoppers. These should never be your own call centre employees, however, and here’s a real-life example of why this is so important. A company had six call centres and had identified weaknesses in the quality of their call handling. They decided that each call centre should mystery shop the others, but all the managers knew this would happen. Resultantly, they all did a deal to make sure that everyone’s scores were very good. 6. Targets for service improvements. 7. A training programme that should be used in conjunction with the mystery shopping campaign. Ensure you have a clear objective and measure against that objective – whether that be identifying training needs, measuring fulfilment or testing new processes. Ensure your internal clients are sold on the benefits, to them, of the mystery shopping programme so they don’t treat it defensively and perceive it as a threat. For example, I know of a company that uses mystery shopping to identify training needs across its sales team and to check that they get a good ‘shop’. They utilise a ‘carrot and stick’ approach across the whole team, with the best individuals earning a Red Letter Day and being hailed as an example of good practice. Do train the mystery shopper thoroughly in what they need to know about themselves as the customer. They will need to be good at role playing, even to the extent of your constructing a profile for them so that they can answers questions in a convincing and unflappable manner. You also will need to be clear how you want the shopper to behave. For example, should they be passive at all times or – if faced with poor service – would they be allowed to vent their feelings? The mystery shopper should be able to write clearly and to describe their observations accurately. Companies should also consider how they measure the effectiveness of the customer service; it’s about getting the right mix of subjective and objective measures. Try to ensure that measures are as objective as possible. Having a ‘warm and friendly manner’, for example, is subjective, so you’ll need to define what you mean by such a term and then train your shoppers so that they all score in the same way and are not bringing their own likes and dislikes to the situation. Crucially, maintain industry standards and quality control. Make sure you use a representative sample of the population – that is, a range of regional accents, addresses and ages – to highlight whether there is any difference in the customer experience, and to ensure that calls are realistic. Match the demographics to those of the company’s customers. Vary the times of day you call. Not everyone calls between 9 a.m. and 5 p.m. If the call centre is open 24/7, then ensure that a percentage of calls are made during the night and at weekends. Ensure that all calls are digitally recorded so that they can be evaluated at a later date. Don’t collect data using a keyboard, otherwise the call centre will realise that they’re being called by a call centre. Don’t get spotted. Provide a flexible brief and ensure that the mystery shoppers have sufficient information so that they can give real life answers to questions such as “How many cheques do you write each month?”, or “What’s your average balance?”. Failure to answer questions convincingly will blow their cover. Make sure that your mystery shoppers don’t get too familiar with the product and start using the company’s terminology or jargon. Don’t make too many calls to the same company. That is, make sure you don’t over-call. Don’t get in to an over-complicated scenario. Keep it simple. Your shoppers should only give out the information they need for the purpose of the call. Don’t over-structure. Anything can (and will) happen during the call, and mystery shoppers need to be flexible enough to let it happen. Good, helpful service from a call centre can have a long-lasting impact on customer loyalty and satisfaction, and on the quality of the customer experience itself. Quality is in the eyes of the customer, and those customers expect quality as a given. A customer experience that embraces true quality is one that recognises the customer’s requirements from the ‘outside in’, and a good mystery shopping programme is a powerful tool that enables companies to achieve this. The result will be happier and more motivated staff, satisfied customers and, ultimately, a healthier bottom line.